THIS weekend we shall focus on software patents and patent trolls, but the EPO simply cannot be overlooked. 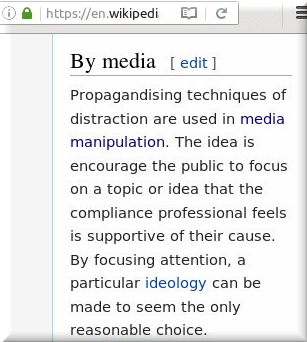 Below are various new observations about the EPO’s media strategy and how it helps distract from real EPO news. It seems like the EPO's PR team is spending a lot of money on press releases because apparently spending millions to seed puff pieces in the media is not enough. How much lower can the EPO management stoop in an effort to drown out the signal (i.e. the real news)? Catarina Holtz, whom we mentioned here before, lashes out at Battistelli’s regime today. Earlier on she wrote: “Has nobody read the ECHR? What is the problem? At an international organisation no employee lives in a complete national legal system, with the protection offered by it. Many employees of the EPO have tried to complain before the ECTHR about violated rights. They were all dismissed as inadmissible. Why? Because the States which create an international organisation simultaneously transfer their governmental powers to it. So the victim employee has encountered a catch 22.If he tries to sue a national state, it is immune because of the transfer, if he tries to sue the EPO it is immune because it is not a contracting state of the ECHR. President Battistelli was right when he said that he was totally free and did not have to listen to anybody. Battistelli ought to be sacked, but he spent millions of the EPO's budget interjecting himself into this month’s media as though he’s some kind of science champion or the next Nobel.